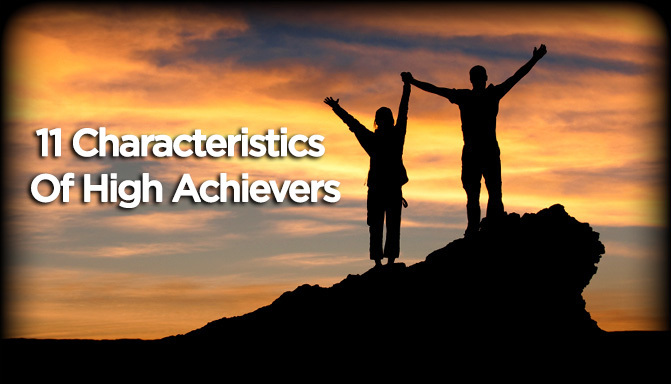 Do you want to know what high achievers live their life? Well, this has come down to a science now and there are many common traits which we can see in top performers today than ever before. I was reading this really cool article on Entrepreneur.com about the top 10 behaviors of high achievers and I thought of sharing some of my views on the same points. There is a saying that action precedes feeling. Successful people are born doers, troubleshooters, and problem-solvers. If something important needs to be done, they’ll figure out how to do it, no questions asked. 2. They MAKE PEACE with their past so it won’t screw up their present. You need to forgive yourself for every mistake you have made in the past. Top performers don’t go around beating themselves up for the mistakes they have made. Forgiveness is the first step to progress and only those with a strong heart can forgive themselves and those who have hurt them. Move forward today and stop dwelling on the past. Opportunities are everywhere. High achievers always keep their antennas alert to pick up new ideas and concepts to grow themselves and their businesses. High achievers are people of great influence. Your level of influence in most cases determines your level of success. Make meaningful relationships and help others get what they want. High achievers are able to reach the pinnacles of success because they pour their energy into their passions. They realize that investing time, energy and resources on anything less than that is a waste. Think about it, the world’s millionaires, inventors, artists, musicians, writers, bureaucrats, policy makers….what makes them come back to their work every day, what drives them to create products and services that work for the betterment of the entire world! 8. They live for the challenge. Stop trying to be someone else. We all have our own distinct purposes in life. Be yourself always and become the best version of you. You are original, not a counterfeit. A common trait of top performers is the fact that they respect themselves and know that they are unique. 10. They are not political players. While most will be researching, planning and finding out the right opportunities to work at, the achievers go out in the market, sell, communicate, spread the word and create these opportunities. Because to achieve success you can’t wait to bump into the right opportunity at the right time and place, you just have to create it for yourself. Bill Gates, American computer pioneer and co-founder of Microsoft wrote a letter to computer enthusiasts in February 1976 in which he asserted that there was a commercial market for computer software, something that few believed. He also said that the software would not be copied without permission. We all know that later he moved on to become the leader in the licensed software products, a market he created for himself.